In a highly competitive publisher category, we sought to increase brand awareness and drive up additional traffic on a limited monthly budget. We ran branded ads on highly targeted GDN sites that were created and placed not to initiate a click, but to affect users, ultimately garnering free impressions. Search engine optimization increased rankings for relevant, highly searched phrases. 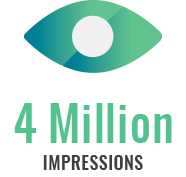 Ads received over 4 million impressions for less than 25% of the average CPM. During the time while ads were running, they boosted brand awareness and interest, increasing direct traffic to the site by 40% and branded search traffic by over 50%. Rankings for top search phrases increased, improving organic traffic by over 20%. 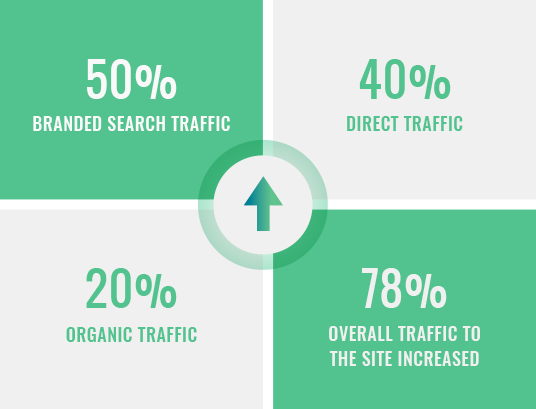 In this period, overall traffic to the site increased by 78%.